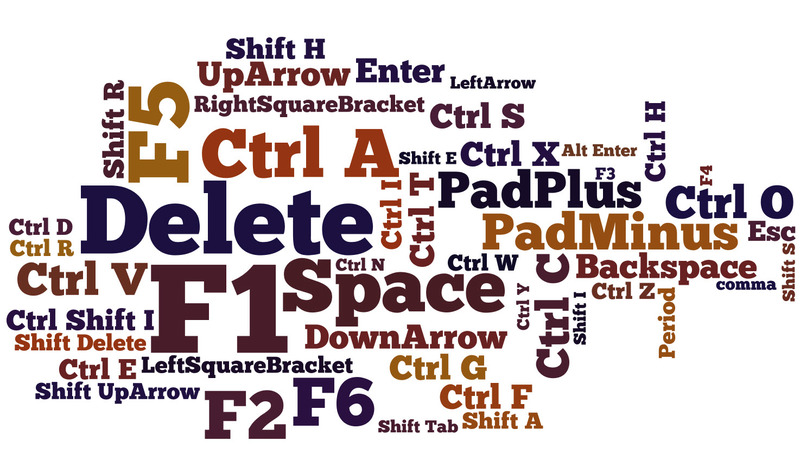 Top 50 most common keyboard mappings in the default Softimage keymap. After the obvious F1 (22 assignments) and Delete (17), the next most-assigned key is F5 with 15. This entry was posted in Infographic, Shortcuts, Word Cloud and tagged Keyboard mappings, shortcuts, Softimage by xsisupport. Bookmark the permalink.